And so we go from a terrible Warhammer 40k video game to a really quite good one, and one which I wasn’t expecting to like anywhere near this much. 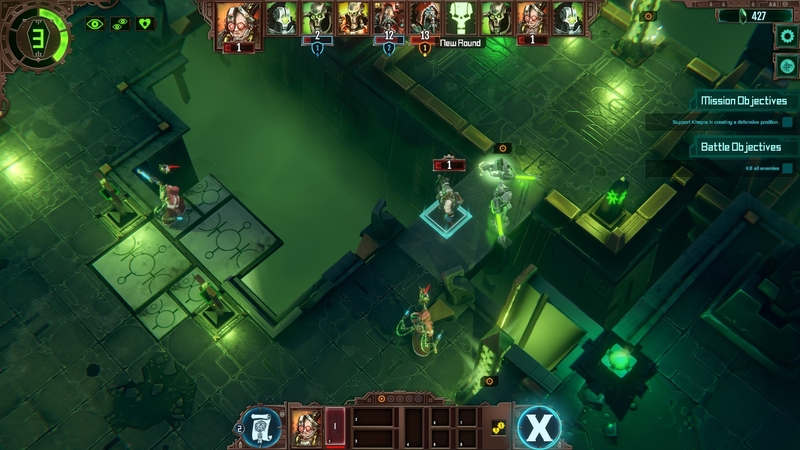 Warhammer 40,000: Mechanicus is a tactical squad-based strategy game somewhat in the vein of XCOM that stars the Adeptus Mechanicus and their tech-priests as they raid a Necron tomb world for technological secrets. Right off the bat I’m inclined to think favourably of Mechanicus because it’s eschewed taking the obvious route of making an XCOM-alike featuring Space Marines and instead chooses to focus on two of the 40k universe’s lesser-known factions, which is an extremely smart move because there’s something like fifteen different factions in 40k but I can count on the fingers of one hand the number of Warhammer video games that don’t have you either playing as the Space Marines or as a force that includes them1. 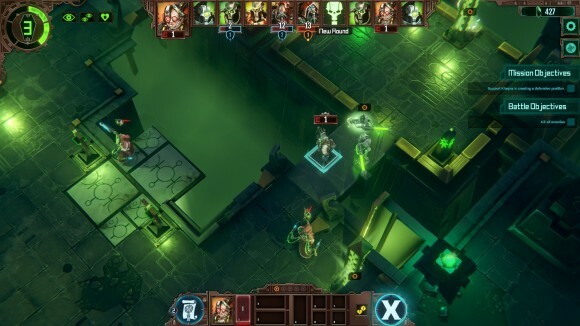 This allows developers Bulwark Studios to create something that feels very fresh when compared to the 40k adaptations I’m used to, not only in terms of atmosphere but also in terms of the amount of mechanical tinkering they do to make the squad-based gameplay something that’s appropriate to the Mechanicus and their Necron opponents.